Si accende e si spegne colpendola da sotto, e fa anche il classico suono della moneta. E’ a led ed è anche personalizzabile. Infatti contattando il produttore è possibile scegliere un differente formato o colore. 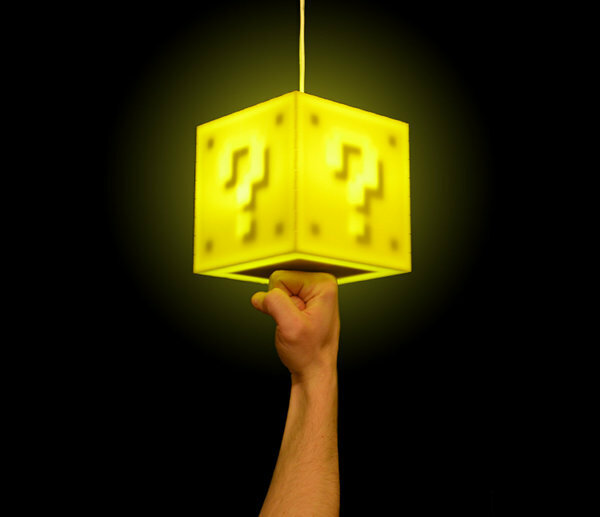 This is a custom made touch sensitive lamp after the fashion of the Super Mario Brothers question mark blocks that appear throughout the series. It’s 6 inches by 6 inches by 6 inches, and made of laser-cut plexiglass and lit from inside by energy-efficient LEDs. The lamp is very light and suspended from an integrated 11-foot power cord, so it’s ready to be hung from a hook on your ceiling and plugged directly into an outlet. The internal power supply is 100v-240v compatible, so the lamp will work even abroad with just a simple plug adapter. If you want to use the lamp on a side table or by your bed, we offer a custom acrylic stand (sold separately). To turn the lamp on and off, merely punch, ahem, I mean touch, the bottom of the cube and you’ll be rewarded with both light and the classic coin noise. Every eight times you toggle the light, you’ll get a 1-UP! It’s very bright in a dark room and still visible in daylight. This lamp is 100% custom designed, from the exterior to the electronics inside. 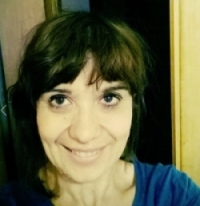 Se vi piacciono questo tipo di oggetti, non perdetevi questo post.